Ian Morley is the founding Chairman of The Alternative Investment Management Association (AIMA), and is one of the world's leading figures and inspirational speakers on the subject. Ian Morley is one of the leading international figures in the field of Alternative Investments. His experience covers most areas of financial markets and one of his specialist presentation is: 'Capitalism. My part in its downfall, The history of frauds and failures.' He takes you through all the key events, the characters, anecdotes, and war stories in a most amusing and educative manner. He has advised the Bank of England, the Central Bank of Ireland, the OECD, the EU and other international institutions about the managed derivatives and the Hedge Fund Industry. Ian Morley is one of the leading international figures in the field of Alternative Investments. He is one of the best and most sought after conference Chairman. His experience covers most areas of financial markets and on of his specialist presentation is: Capitalism. My part in its downfall. The history of frauds and failures. He takes you through all the key events, the characters, anecdotes and war stories in a most amusing and educative manner. Ian Morley was the founding Chairman of The Alternative Investment Management Association (AIMA).The world trade association for the Hedge fund industry. He is one of the worlds leading and most inspirational speakers in the field. “The best speech I have ever heard on the subject”, (Lord Lawson). He works closely with a number of trade and regulatory organisations and has served on various UK and international groups involved with Indexation, Derivatives and Alternative Asset Management. He is a Member of Grays Inn, The Foreign Press Association and Securities Institute. He has advised the Bank of England, the Central Bank of Ireland, the OECD, the EU and other international institutions about the managed derivatives and Hedge Fund industry. 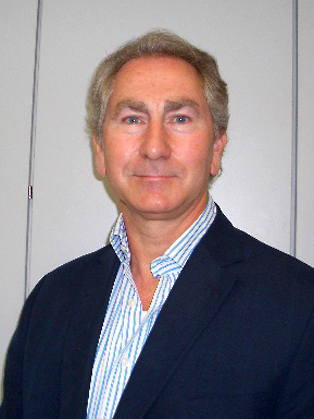 Ian is an Industrial fellow and was a lecturer at Kingston University on the MA Strategic Finance course. He has published numerous articles, including Morley’s Laws of Fund Management, and has lectured throughout the world on derivatives and alternative Investments. He graduated with a BSc Economics (Hons) from the LSE. He appears regularly on TV and radio and his articles are frequently published in financial journals such as the Times and Financial Times. He runs a successful Consulting firm, Wentworth Hall and holds a number of international non exec and consulting roles. Previously he helped run one of the UKs most energetic financial starts up companies. A dragons den in practice and helped a number of companies on their way up. He served in the army and trained as a battle medic attached to specialist infantry. He is the life President of the Berkeley Players .One of the UKs oldest amateur theatre groups and was the London theatre correspondent for the Irish Stage and Screen. He has completed 16 International Marathons and over 150 Half marathons.